We know, the word “tactical” gets thrown a lot in the knife world, often by products that are far from deserving of the term. 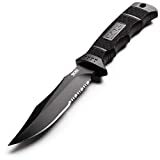 Fortunately, there are plenty of knives out there that truly deserve the distinction – ones that come equipped with everything you’ll need to defend yourself, rescue someone in distress, or help you survive all the untold dangers of the wild. Is there really any knife that’s cooler than the one John Wick himself uses when he’s not blasting lead into his enemies? Probably not, which is why we put this thing out front in our list. 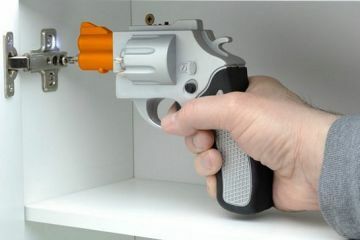 A fully-automatic knife with a double-action, out-the-front mechanism, it has a 3.4-inch blade that’s quickly deployed by pushing the thumb switch forward, allowing the action hero to be ready to use it in close-quarters attacks in very short order. This is an updated model, by the way, with a smoother, more contoured handle design that, according to the outfit, will provide Mr. Wick with increased comfort while he slashes throats, stabs arteries, and kills everyone who gets in the way. 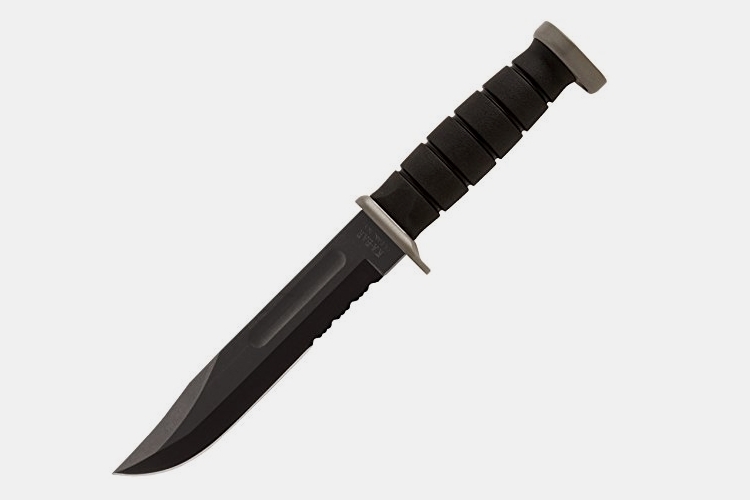 Arguably the most famous fixed-blade knife in the world, the Ka-Bar has served as the US military’s de facto tactical knife since World War II, giving it unrivaled credentials as far as utility in the field is concerned. Measuring just under 12 inches, with a 7-inch blade, it’s, pretty much, the first knife you should consider when you need a full-sized knife that’s versatile and reliable. That blade, by the way, is made from D2 steel, with a partially-serrated edge, a 20-degree blade angle, and the classic clip-point shape that the model has worn throughout its many decades of existence. 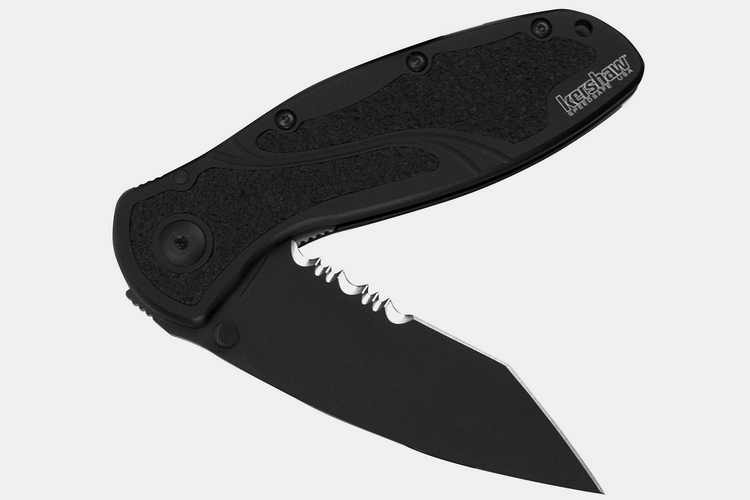 Probably the knife that comes closest to the Ka-Bar as far as battlefield credentials are concerned, the Auto 06 is a heavy-duty folder that’s designed to withstand the toughest tasks. 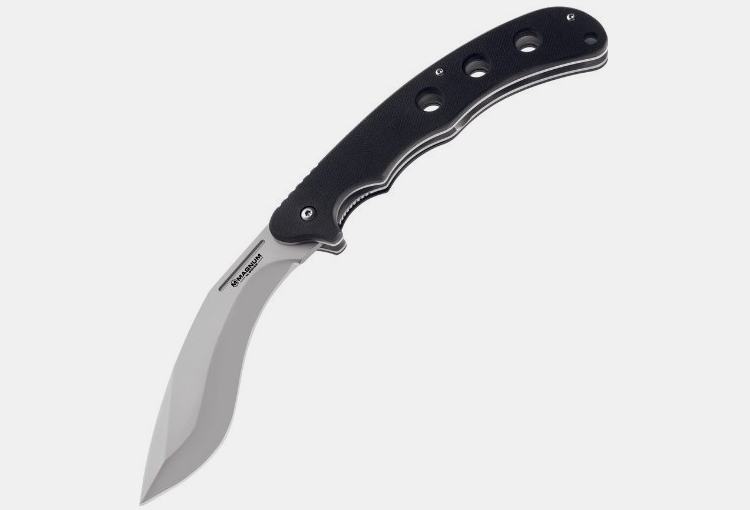 It has a 3.7-inch S30V stainless steel blade, with a 3.5-inch cutting edge, that you deploy using a release button near the top of the handle, while a slide safety allows you to lock the blade in place, whether it’s opened or closed, ensuring it doesn’t respond when you accidentally press the button. Features include a contoured aluminum handle that enables a secure grip, a stainless steel pommel with a strike point, and a tip-up clip for securing it in your pocket. 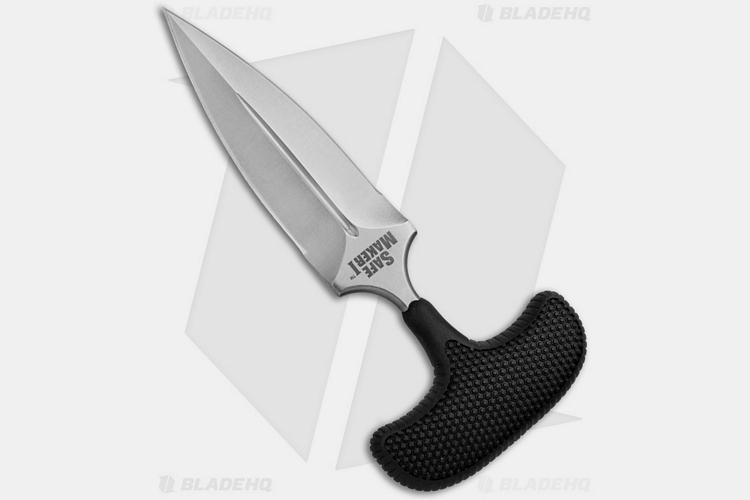 Purely for self-defense, this push dagger is designed to lock securely between two fingers, so you can stab assailants using simple punching motions, similar to punching with keys wedged between your fingers (except, you know, more lethal because you’re attacking with a 4.5-inch blade). A large T-shaped handle enables a secure grip that should stay in place even during the most intense encounters, while the Kraton handle material provides a grippy surface that stands up well to the heaviest action. If you’re shopping for a knife strictly for self-defense, then skip the options with traditional handles and pick up this one instead. First off, who doesn’t love a knife with a nasty curved blade that looks straight out of a fantasy movie? 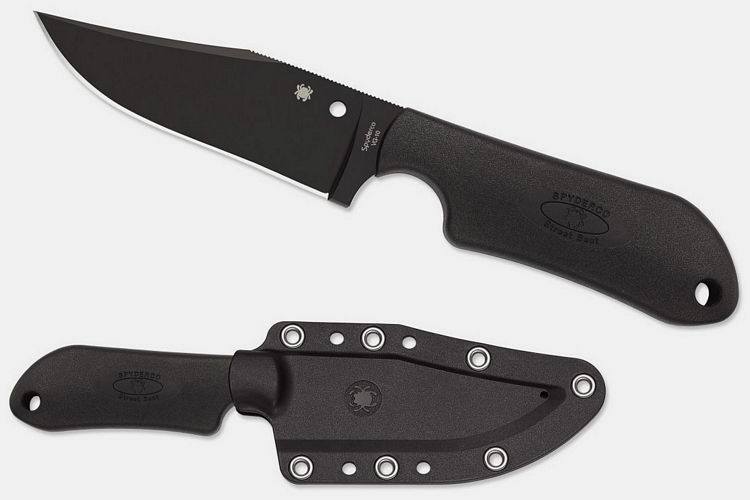 Secondly, who doesn’t love a pocket knife that deploys a 4.65-inch long blade and measures over 10 inches when opened? Actually, we’re guessing people who don’t enjoy carry something large in their pocket. Those who do, however, can appreciate the thickness and sharpness of the 440 stainless steel blade, which is heavy enough that you can deploy it by simply flicking your wrist, all while providing exceptional leverage when carrying out all sorts of cutting tasks. 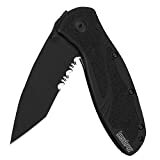 If you’ve ever wanted a pocket knife that can handle heavy-duty stuff (granted, calling this a “pocket knife” is pushing the boundaries a bit), this offers one of the most affordable options around. Described as a “classic fixed-blade knife built for brute strength,” the StrongArm is agile and easy to wield, with an over-molded rubber grip that will ensure the thing stays in your hand in both wet and dry conditions. It has a drop point stainless steel blade that measures 4.8 inches, making it suitable for nearly any tactical, industrial, and outdoor application, as well as a 420 high-carbon construction that allows it to hold edge and resist rust better than many other knives you’re likely to have in your collection. 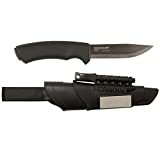 Each knife comes with a multi-mount sheath that allows it to be carried on a MOLLE mount, vertically on a belt, and even horizontally on the belt, if you don’t like to show the knife hanging down your leg. 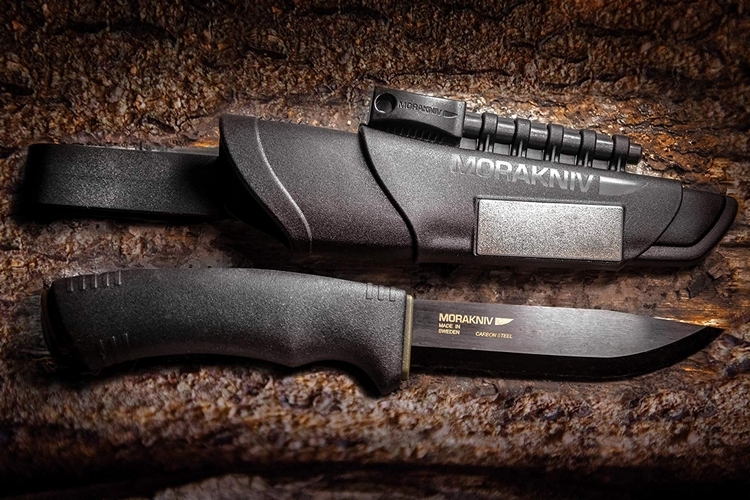 Arguably the toughest knife in Morakniv’s arsenal, the Bushcraft Survival has a high-carbon steel blade that’s an eight-of-an-inch thick, with a build that’s extremely sharp, durable, and hardened to HRC 56-58 to better withstand stress. Armed with a scandi grind that prevents the edge from slipping off easily while biting hard into surfaces without getting stuck, the knife is ideal for batoning, carving, and other outdoor tasks, while the high-friction rubber grip provides outstanding control, no matter how tough the task you have at hand. Each knife comes with a plastic sheath that also holds an included fire starter, which you can use with the spine of the knife (it’s ridge-ground) to build fire at any time. Recognized by many as one of the world’s best tactical knives, the Seal Pup Elite combines badass looks with proven performance, making it a great one to pick up, whether for personal use or for giving as a gift. 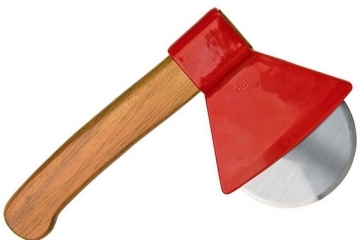 This particular model, the E37T-K, measures 9.5-inches long, with a 4.85-inch blade that’s crafted in cryogenically-hardened AUS-8 stainless steel. 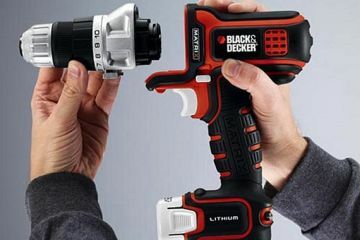 It has a clip-point shape and a partially-serrated edge, which should leave it even more versatile in function, while the glass-reinforced nylon handle has a deep finger notch to ensure a strong grip, no matter how challenging the task you’re facing. And yes, this handle works great even when you’re dripping wet, so no worries about using this in the rain or taking it to the water. 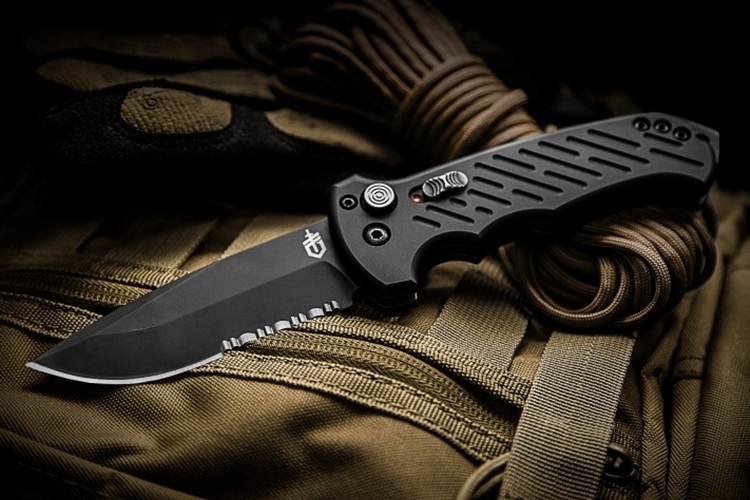 A heavy-duty pocket folder, the Blur Tanto Serrated uses the same anodized aluminum Trac-Tec inserts as other models in the line, facilitating a superior grip in both wet and dry environments, while the torsion bar-assisted opening ensures quick and accident-free one-handed deployment with just a light push on the thumb stud. 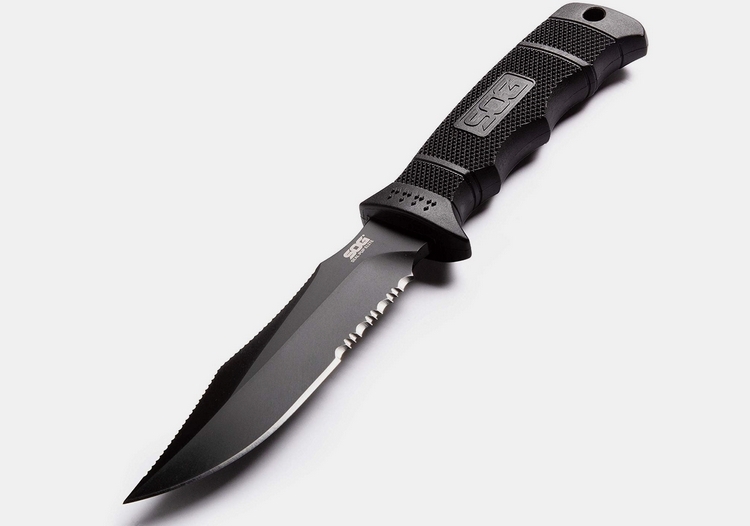 It has a slightly recurved 3.4-inch blade that facilitates greater force for tactical piercing through all sorts of materials, while the aggressively-serrated section allows it to cut through tough and fibrous materials. The blade’s Sandvik 14C28N steel construction provides outstanding hardness, edge stability, and corrosion resistance, while DLC coating gives it excellent wear resistance and an attractive shine. It comes with a reversible pocket clip that can be mounted tip-up or tip-down to serve individual preferences. Styled to look like classic Japanese swords, the Kobun combines the sword-like blade shape with the outfit’s reinforced tanto point, leaving it highly-resistant to bending and breaking while looking like it came right out of a Samurai movie. 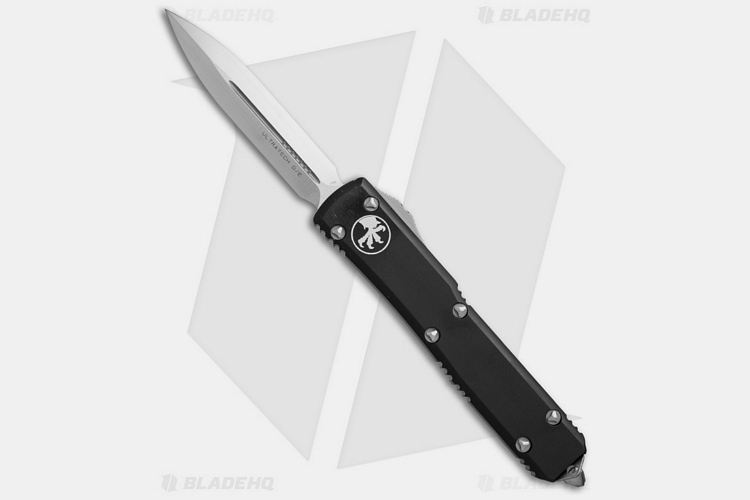 Designed as a fighting knife, its 5.5-inch AUS-8A blade should rip and slash through a whole load of tough objects with ease, although the tanto profile does make it a little less useful for more mundane everyday cutting tasks, so only carry one if your primary motivation is to be armed for self-defense. Each knife comes with a rigid sheath that’s designed for concealing on the inside of your boots, so make sure you pair it with a tall pair of shoes since the darn thing measures a full 9.9 inches long. 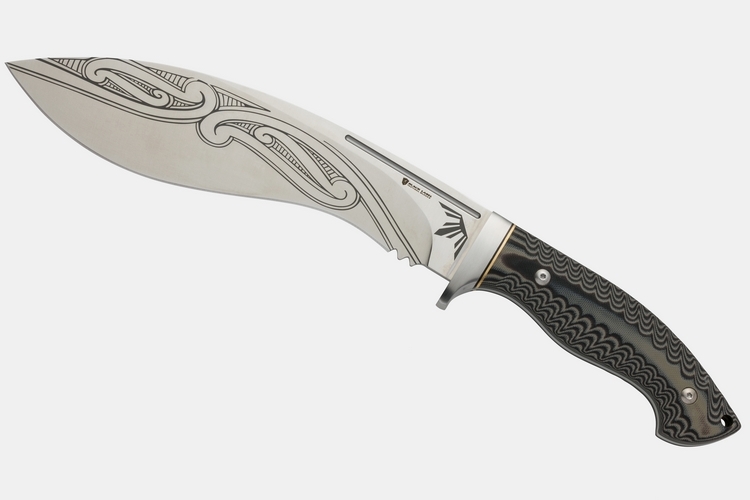 Truth be told, you can call this 15-inch knife a machete and people probably won’t blink, since, you know, it’s got that traditional Nepalese Kukri shape that curves inwardly, allowing it to function a lot like the more popular machete. 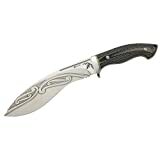 It has a large 9-inch flat-ground blade made in 8Cr14MoV stainless steel, with Maori warrior tribal etchings to give it that savage jungle look. If you want a knife that’s big enough to handle serious tasks, while being useful for both tactical and general-purpose tasks, this thing definitely has the size and shape to serve all your likely needs. All that, of course, while looking like a badass machete. 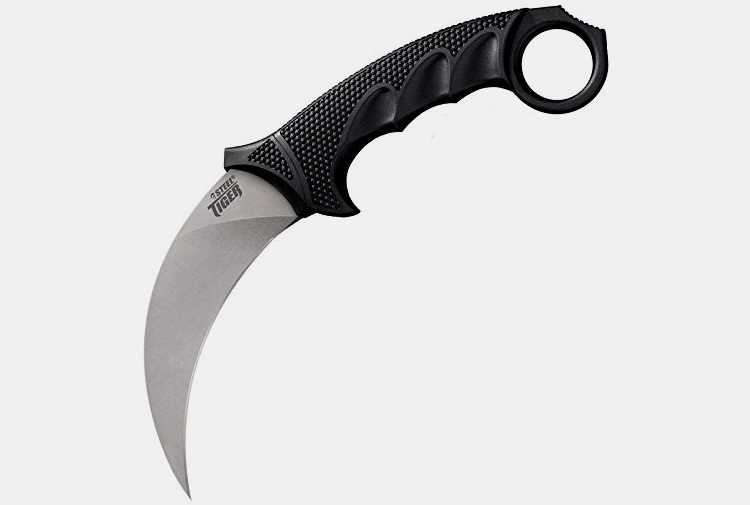 Described as a “modern tactical interpretation” of the karambit, the Steel Tiger is a knife that’s strictly for combat, with its hooked blade making it difficult to use for most mundane everyday tasks. 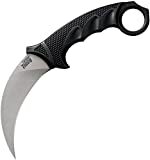 If you want a relatively small knife for fighting and self-defense, though, this thing will make for one of the most potent options around, provided you actually put in the time to learn how to handle a karambit-style knife. It comes with a 4.75-inch AUS-8A steel blade and a 5-inch Griv-Ex core handle, complete with a thumb shelf and a finger ring to let you grip it with the same versatility as the traditional Indonesian hook knife. Each one comes with a military-style Secure-Ex sheath that can be easily clipped to your belt or boot. Designed by a former French Army Commando, this fixed-blade knife is meticulously designed to ensure both blade and handle come in nearly equal weights, making it feel perfectly balanced and uniquely responsive when held in your hand. A deep finger choil in the section where the two parts meet further aids its responsiveness during use, while double-pinned Micarta handle scales provide a substantial grip that lets you feel every thrust of the knife. 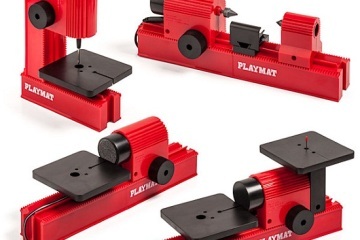 It has a 3.5-inch VG-10 clip point blade that’s flat-ground, with jimping on the spine to provide a tactile surface when performing general-purpose cutting tasks. For some reason, they decided to put a lanyard hole on the blade, where you can tie some colorful strings, just in case you want the knife to look cooler while you try to stab an assailant in a dark alley somewhere. Or something. 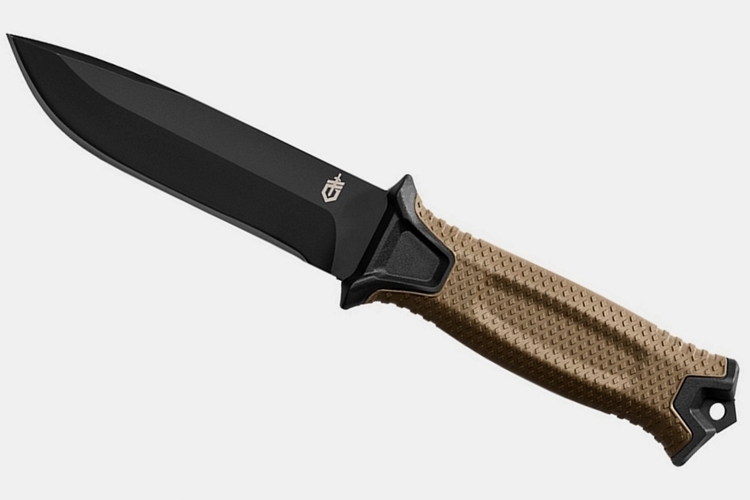 Sorry John Wick, but the coolest knife ever will always be the iconic Ka-Bar used by the USMC! There are a lot of cheap copycats of the classic Ka-Bar, but if you buy a real authentic one then you will never need to buy another knife again. The only downside to the Ka-Bar is if you want a smaller knife that can fit into your pocket to carry around in urban areas. In this case, I can’t see a better alternative to the Gerber Auto 06. It looks like the perfect urban knife to stick into your pocket. 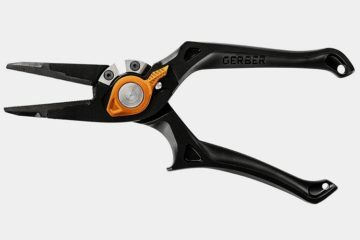 The Gerber StrongArm has a beautiful handle on it. 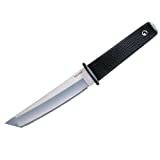 The best value knife on this list is the Morakniv Bushcraft Survival. Mora has continuously made high-quality knives at very reasonable prices. Mora knives might be cheap to buy, but rest assured they do not take shortcuts. More definitely lives up to all the hype. 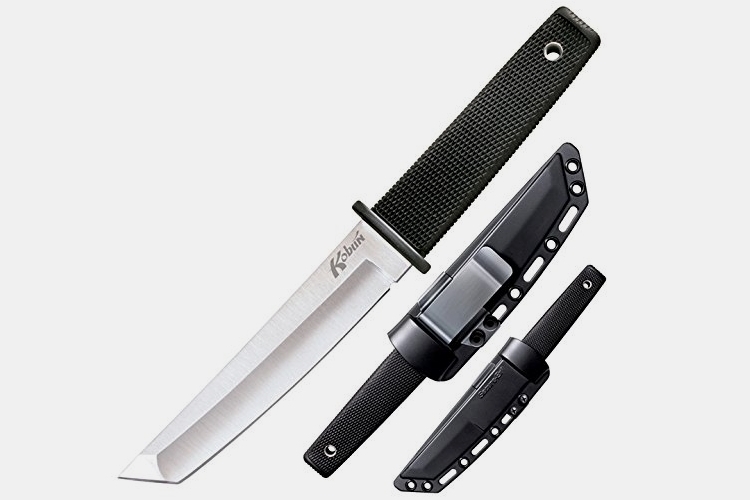 The Ka-Bar is a great knife but is kind of overkill for most people to carry on a daily basis. I can easily throw a knife in my pocket and always have it with me when I need it, but if I have a larger knife like a Ka-Bar strapped to my belt I get a lot of stern looks from people. The Tweakers in my area have a fashion fad of carrying a knife on their belt, so the rest of us have turned to carrying pocket knives. I have a couple of old Ka-Bars and they have held up well for over 20 years so far, but if I was buying a new knife I would look at the MoraKnivs. Mora could easily add $30-$50 to the price of their knives and they would still be a good value. The Cold Steel Safe Maker I has an interesting design. Is there any practical purpose to this knife besides as a weapon? 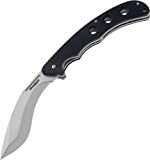 I like the style of the Gerber StrongArm knife, but I do question the long-term durability of the rubber cover on the handle. It seems like if ti was subjected to some hot desert Bushcrafting that the rubber would warp on it. Do they sell just the rubber for replacement? I know OtterBox cases have the rubber warp a lot and they sell just the rubber replacements. It would be nice if Gerber did. The only time I think I would use a lanyard that is tied to the hole n the blade of the knife like on the Spyderco Street Beat would be if I was gutting a large animal like a buck or an Elk. If you dropped the knife in the innards and lost it, you could easily cut yourself digging around the guts trying to find it. 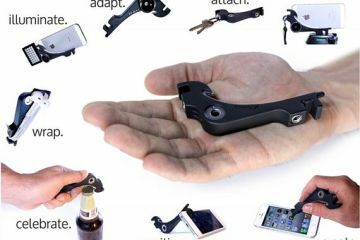 With the lanyard you can keep track of it without cutting yourself if you drop it inside the animal. By having a lanyard hole in the blade, it would provide you with easier angles while actually cutting and gutting the animal. Maybe. It does still seem weird they placed one there. Anyone else have an idea as to why?